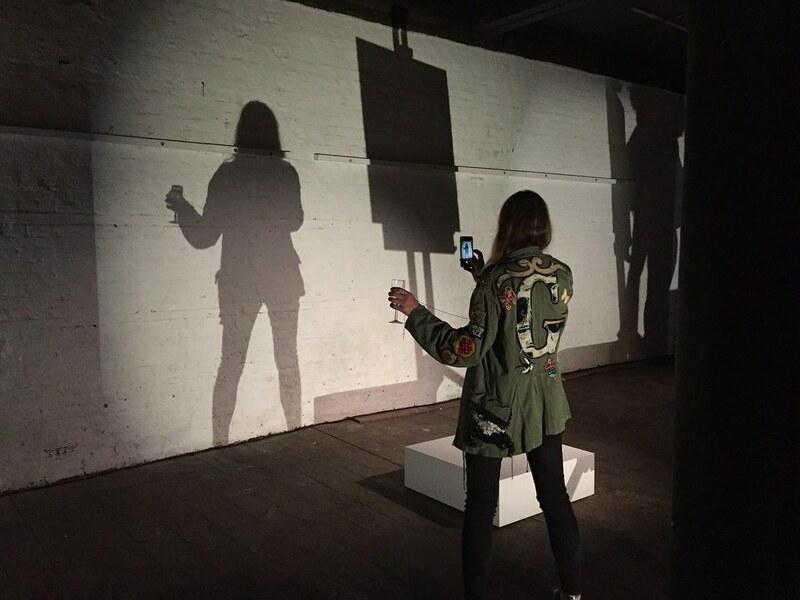 I’ve written before about Fred’s Collabology project, it’s a great way to use digital in an art school. It points a way forward that is more interesting and more likely to succeed than the current conversations about MOOCs in education. The picture above shows the designer of the report Skyping into the launch from China. This type of interaction is central to Fred’s workshops. It is a good report. 1. Embrace agile practices (e.g. sprints and rapid prototyping) to develop a new pedagogy. 2. Publish openly online wherever possible. 3. Partner with students to develop new pedagogy and services. We should do all of those, straight away. 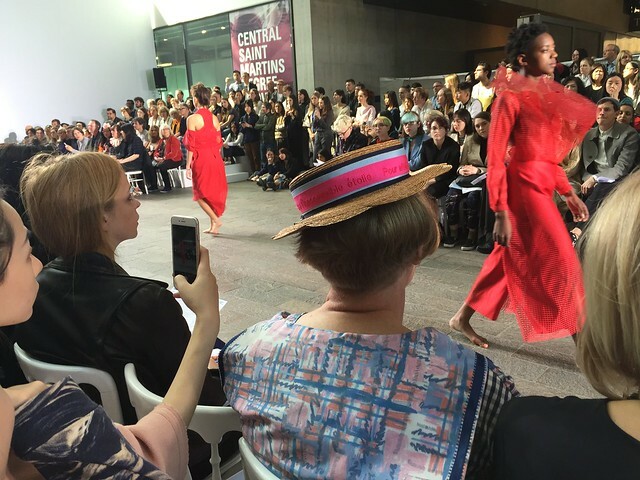 Last Thursday night I managed to get to the LCF BA final show. Fantastic work and inspiring atmosphere as always. 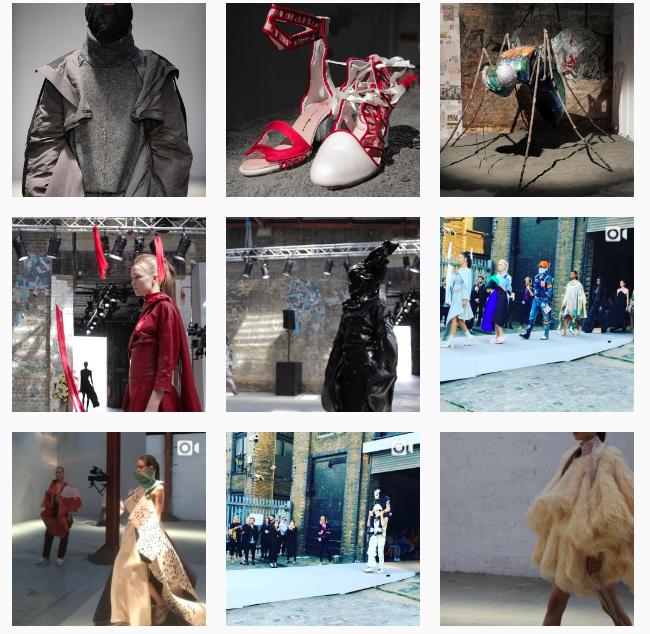 If you couldn’t make it the live stream looked good and the Instagram feed had good coverage. 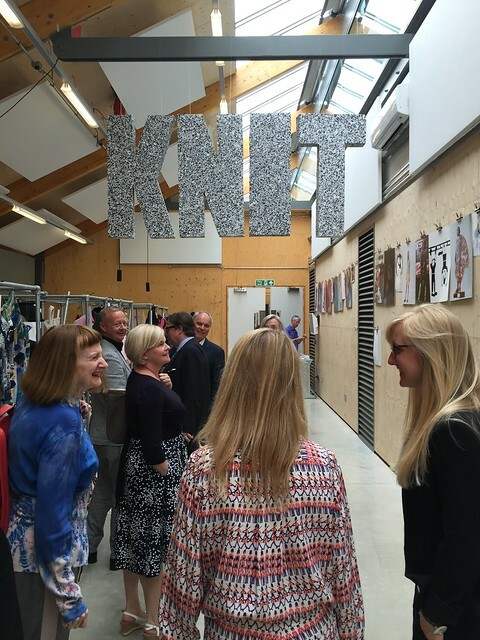 This time of year is Summer Show season and there are shows in every UAL college. As a governor I try and go to as many as I can. There’s a good list of dates and times here. I’ll try and get to LCC and Chelsea next. 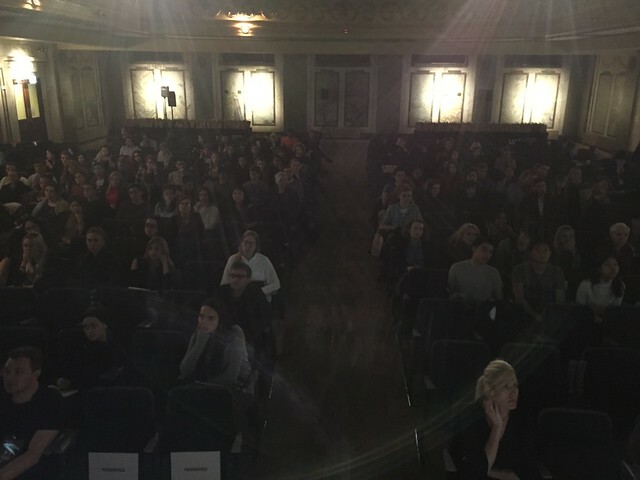 This morning I spoke at Next Up 15 an event for UAL 3rd year students. Hello to any students reading this because of the event. 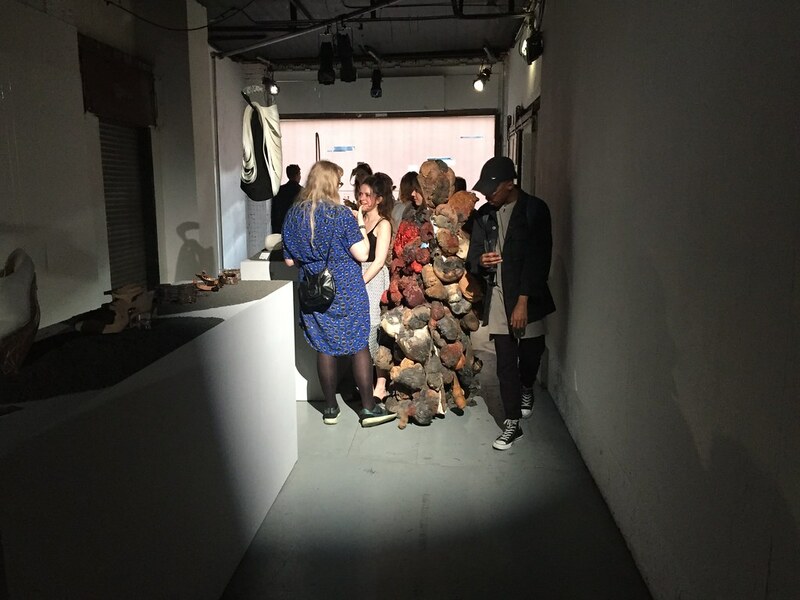 The event was great because it was attended by people from all of 6 of the UAL colleges. More of that please. Some great speakers too, I shared a panel with Craig Oldham, Rejane Dal Bello and Lynda Relph Knight. 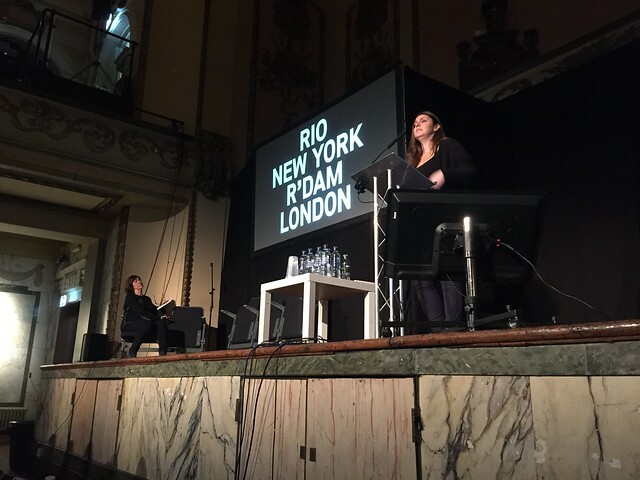 A few weeks ago I spoke at the DeL 2015: Technology Culture Practice held at CSM. Before the conference I tweeted that my first slide would be “stop calling it e-learning”. That seemed to work. There’s a good write up here. 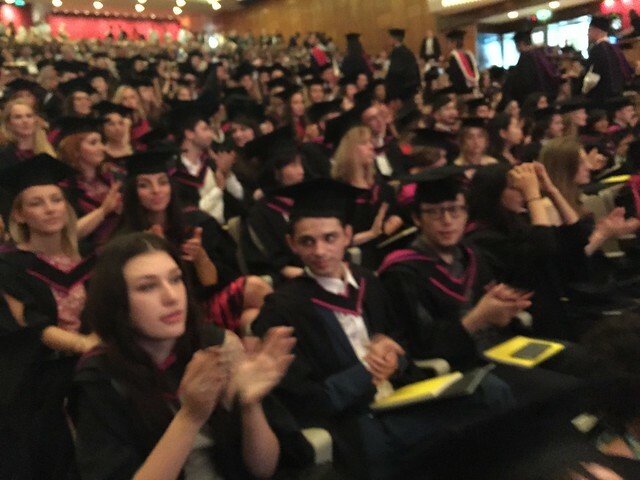 I went to the CSM graduation at the Royal Festival Hall this morning. 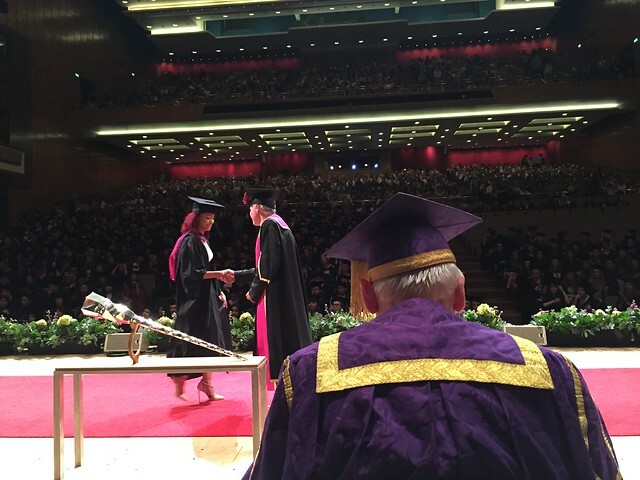 As a governor you get to wear a gown, a funny hat and you sit on the stage behind the Vice Chancellor and Heads of College and people like that. You also get to clap all the graduands on and off the stage. Talented people with exciting futures ahead of them. There was a great atmosphere. It was an inspiring morning. 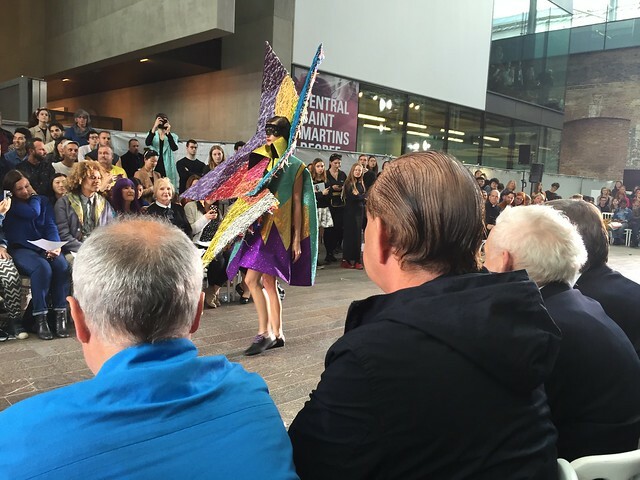 I visited the CSM show yesterday. There is some fantastic work on display. 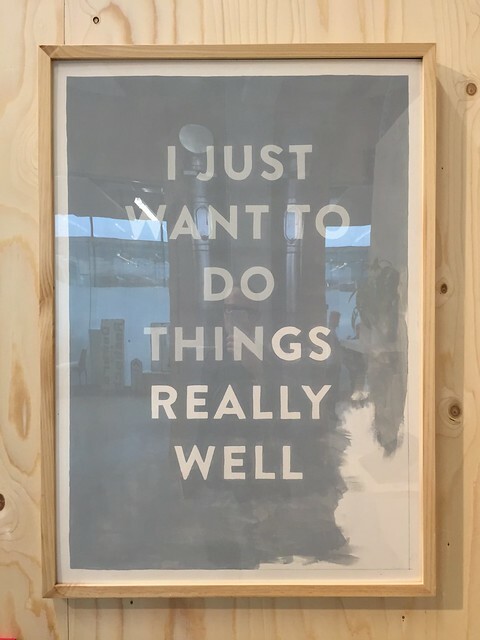 I liked this poster by Timothy Tyndale Brockbank which has been reblogged a zillion times since last night. But there’s loads of other stuff too. All of the colleges have a show on this Saturday. 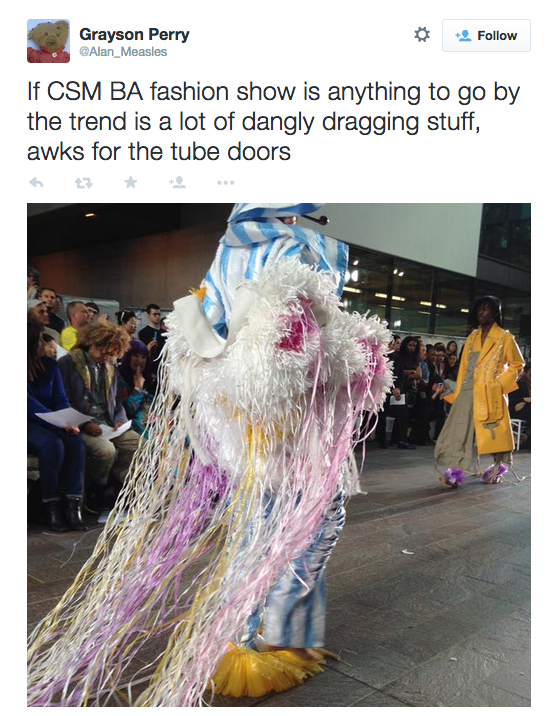 So let’s make Saturday Visit A UAL Show Day. I’ll be visiting a few with the kids. Full list of shows here. Grayson even managed to tweet a few future trends. Today I met Katie, she’s a UAL grad and now works at Wieden & Kennedy. 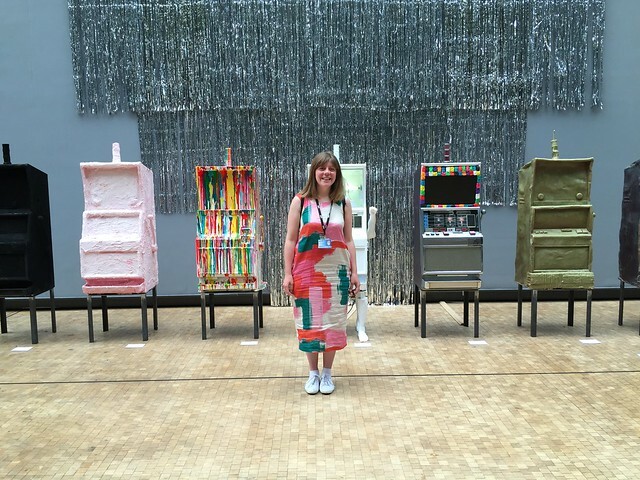 She also teaches part time on the CSM Illustration course. She’s helping illustrators understand the internet and it’s possibilities for their future careers. 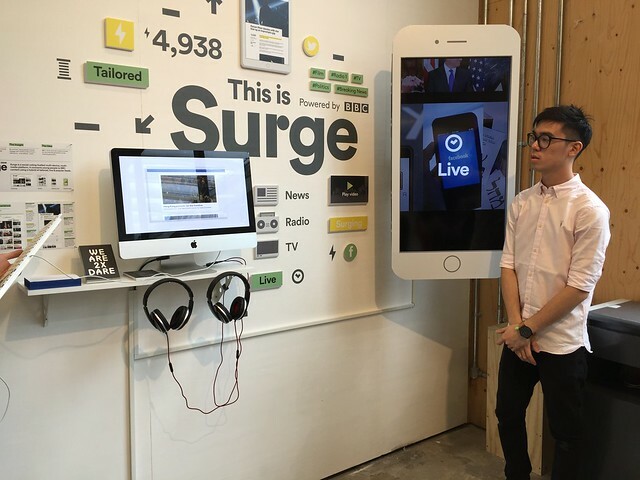 As regular readers will know, in my role as a governor I’ve been helping UAL to be more digital and working out what that means for them. 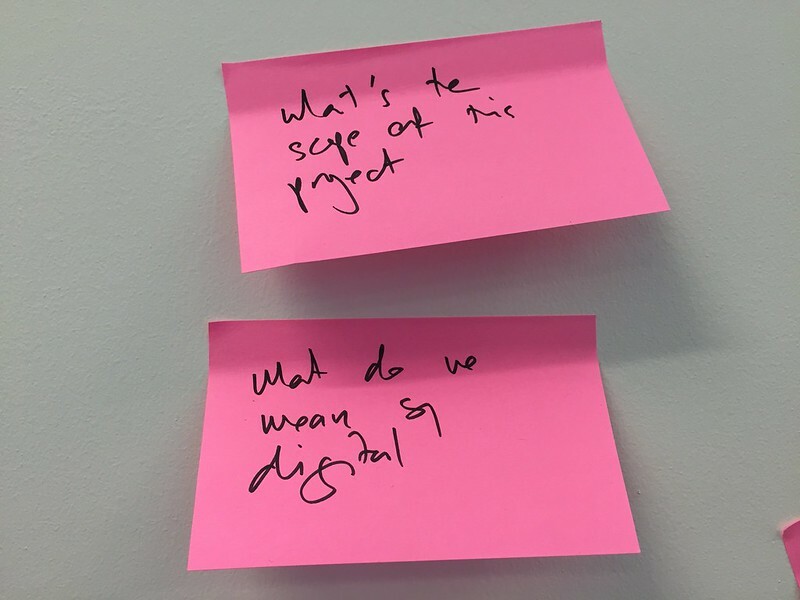 We’ve just held the first meeting of the UAL DIgital Think Tank. 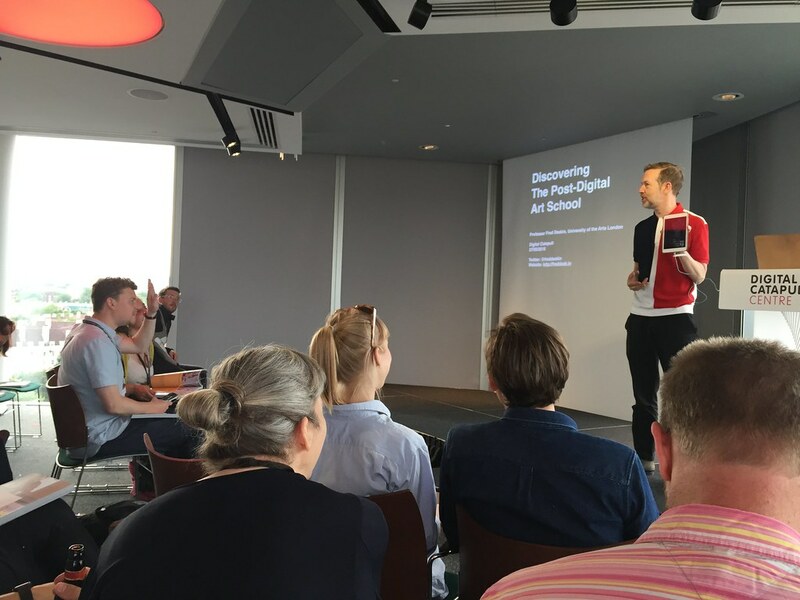 It’s a group of people convened to look at the overall approach to digital at UAL. It’s a small group, moving quickly and will report back in July. It’s the first step in a long journey. More news here as it happens, but meanwhile here’s more detail from Nigel Carrington the Vice Chancellor. Ben Terrett will chair a Digital Thinktank which considers our overall approach to Digital in the contexts of publishing; digital services; and learning and teaching. The Digital Thinktank will comprise a core Steering Group of Ben Terrett, Jim Nottingham, Edward Venning, Frances Corner and Fred Deakin. Kerry Sullivan will act as Secretary of the Thinktank and provide logistical support to the Steering Group. The steering group will scope the project and ensure delivery. The Steering Group will meet as soon as possible to scope a timetable and methodology for the gathering and review of data and an agreed programme of deliverables to be launched in September 2015. 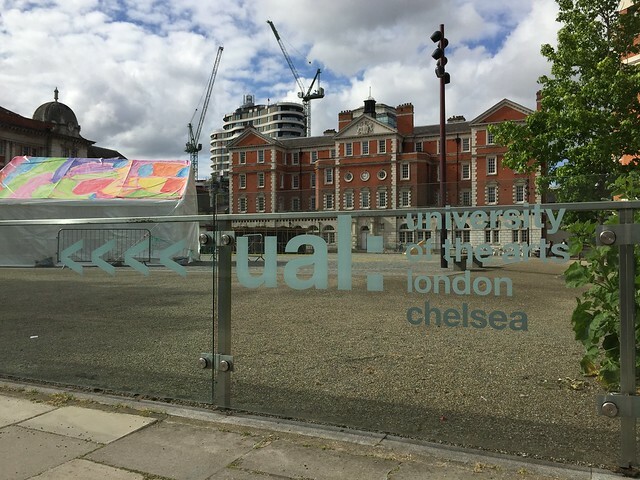 The deliverables will consist of short actionable projects (including a UAL-wide coding club) which will be designed to test ideas with a view to developing a broad digital strategy for UAL over the course of the coming academic year. The Thinktank will include the Steering Group plus, initially, Marcus Saunders (LCF), Ben Stopher (LCC), Rebecca Ross (CSM), Chris Fellows (CCW), David White (CLTAD), Dani Salvadori (Enterprise) and Helen Anderson (Recruitment). This initial Group will identify other potential staff members and student members. The Thinktank will operate in an open and transparent manner (including via a blog) and members of the Thinktank will engage with end users – students and colleagues across the University. The Steering Group will report to Executive Board on its proposed deliverables no later than September 2015. The drafting of the report of the Thinktank will be led by Ben Terrett, Jim Nottingham and Edward Venning with assistance from Kerry Sullivan.